​Descriptions of the desert sites we visit on the tours can be found on our ﻿﻿Wadi Rum Desert Attractions﻿﻿ page. Prices are in JD (Jordanian dinars). Payment in cash in JD at the end of the tour. Children 2-12 years old, 50% discount on tour price listed for 2 adults. Children under 2 years - no charge. 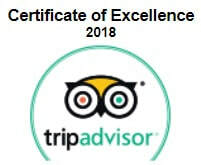 Not included in the tour prices is the 5JD entry fee to the Wadi Rum Protected Area, which is payable at the government tourist office at the Wadi Rum Visitor Centre when you arrive. 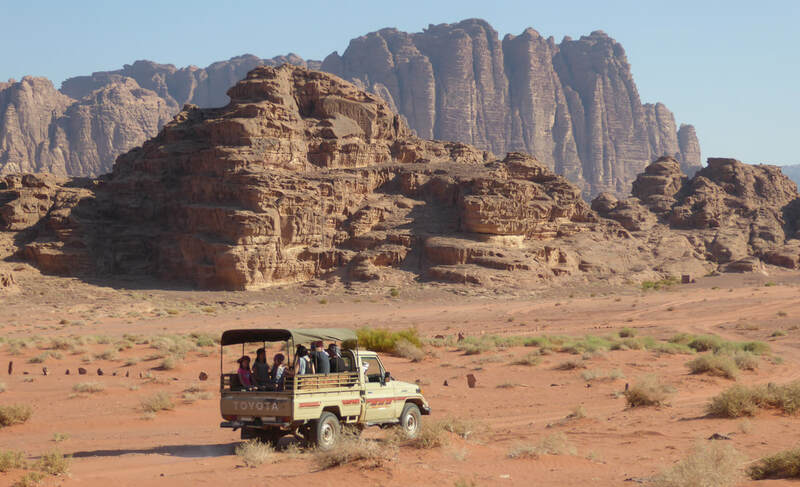 A 4x4 jeep tour of the magnificent Wadi Rum desert, over red and white sands, with visits to a spring, a cool canyon, sand dunes, ancient rock inscriptions, lunch and a rest, 1-hr hike in Burrah Canyon, scrambling up two rock bridges, and sunset viewing. A 4x4 jeep tour of the magnificent Wadi Rum desert, red and white sands, a spring, a canyon, sand dunes, ancient rock art, lunch, 1-hr hike in Burrah Canyon, rock bridges, and sunset viewing. A jeep tour of the magnificent Wadi Rum desert, over red and white sands, with visits to a spring, a cool canyon, sand dunes, and a scramble 15m up to a rock bridge. The afternoon tour includes sunset viewing. A jeep tour of the magnificent Wadi Rum desert, over red and white sands, with visits to a spring, a cool canyon, sand dunes, and a scramble 15m up to a rock bridge. Then sunset viewing and overnight at our camp. Day 1 - full-day jeep tour of Wadi Rum desert sites, Nabatean temple, 1-hr canyon hike, sunset views. Day 2 - hike up Jebel al Hash, visit to a dam to see ways to store water. We travel by jeep to Burdah Rock Bridge, the highest of Wadi Rum's rock bridges, hike to the top and back down. Lunch and rest for a while. Afternoon visit to a spring, then a scramble up Um Frouth Rock Bridge, and viewing the sunset over the desert. We travel by jeep to Burdah Rock Bridge, the highest of Wadi Rum's rock bridges, hike to the top and back. Lunch and rest. Afternoon visit to a spring, Um Frouth Rock Bridge, and sunset viewing. We travel by jeep to Jebel Um Adaami, Jordan's highest mountain, hike to the top, enjoy the view, and back down. Lunch and rest for a while. Afternoon visit to a water dam, then the sand dunes, and viewing the sunset over the vast landscape. We travel by jeep to Jebel Um Adaami, Jordan's highest mountain, hike to the top, enjoy the views, and down again. Lunch and a rest. Afternoon visit to a water dam, then the sand dunes, and sunset viewing. Day 1 - we hike to Lawrence Spring, Khazali, a rock arch and Khashkhasha Canyon. Day 2 - from the red desert to the white, Um Frouth Rock Bridge, Jebel Um Mugur. Overnights at our camp. Or option to sleep under the stars.